With just days to go before Christmas, shoppers have found themselves frustratingly unable to order their groceries online. Sainsbury's website and app have been beset by a series of technical faults that have left customers spending hours trying to complete their transactions. Angry users took to Twitter to vent their irritation at the retail firm, after repeated crashes caused chaos and delays. This week is expected to be the retailer’s biggest ever for online sales, with 20 million items set to be delivered. With Christmas falling on a Monday this year, sales are being driven by shoppers stocking up on supplies ahead of the long weekend of festive celebrations. Sainsbury’s research found that over a third (38 per cent) of UK households who celebrate Christmas will be hosting their own festivities over the weekend. While almost half (46 per cent) of households are planning to attend between two and three Christmas events over this period. 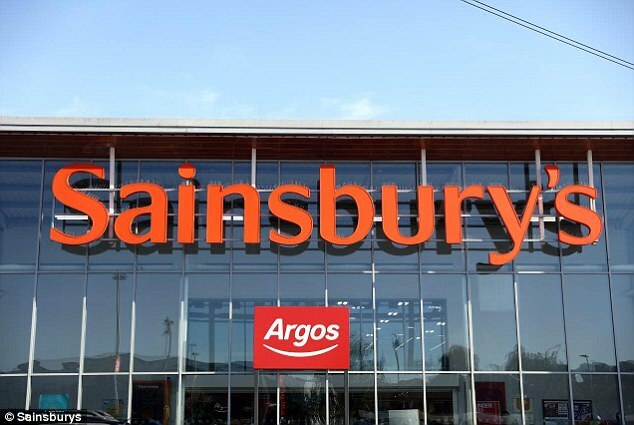 As a result, Sainsbury’s customers in store and online are expected to spend over £160 million ($214 million) today on their last big shop before Christmas. But the glitch may cut into these figures, with some customers claiming that they have been trying to update their orders for more than a day. Among the Twitter users to complain was Clare Boniface, who said: 'Is there an issue with your app and website? The scarcity effect - If we think something is only available for a limited time, we make it a priority and believe it to be more important. Christmas is a hard deadline, so we are limited in our freedom to delay the purchase decision. Scarcity influences our ability to think clearly when making decisions. Overwhelming stimuli - When we walk into a shopping mall filled with Christmas tinsel, Christmas music, lights and sounds, we are going to experience some form of ego depletion. In psychology, the term is used to describe how people don't always think through their decision-making in a rational and linear way when placed under situations of stress. Our inability to predict the future - If we think about Christmas lunch or dinner, few of us can plan how much food we will actually need and we aren't very good at knowing how much we will end up eating (or need to eat). Tommo added: 'App and website keep crashing when trying to checkout and update order for Saturday. Now got a message says we have 15 mins to checkout or timeslot gets cancelled. What's going on? Jennifer Chandler added: 'The website won't let me check out my updated online order! I've been trying for 20min. Don't want to lose my additional items! 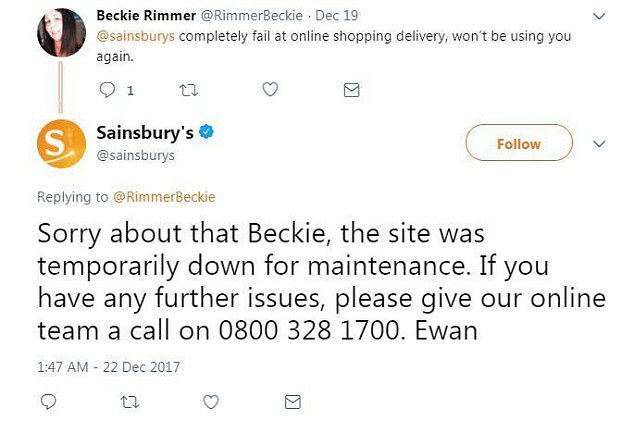 A number of Sainsbury's staff have issued apologies to customers on the social media site, with some advising them to use another browser or device.